The opposition pact of DAP, PAS and PKR are campaigning without a common platform as they woo voters according to their respective party’s philosophy. DAP goes for Chinese voters on Chinese issues which smack racism while PAS goes for Malay voters with its Islamic fundamentalism and PKR goes for mixed voters with its purported economic wizardry. Each has its own agenda that does not meet the other and yet, leaders of the parties cried out they are together on everything and any differences could be solved. But look at Penang, PAS and PKR are fighting over seats to the extent that the supporters of each party fought physically. And DAP is still adamant in rejecting PAS’ Hudud laws and Islamic state and of course PAS president Abdul Hadi Awang as Prime Minister candidate. PKR on the other hand is on its own dream – to have Anwar Ibrahim as Prime Minister – without any care to ideology or philosophy or any agenda that benefit the people. 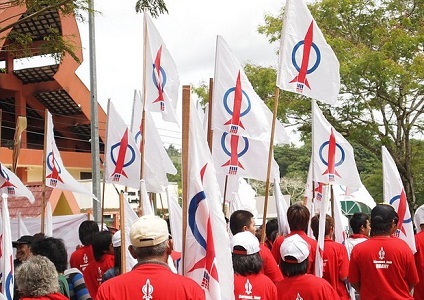 DAP goes on its campaign calling for UBAH which has no details of what the party intends to change in every aspect such as economy or politics or development whether physical or human. PAS continues with its Islamic fundamentalism that no one, even Muslims, can actually grasp what the party actually intend to do because the party has ruled Kelantan for four terms and until today there are no development, may it be physical or spiritual. Kedah is another example where instead of bringing investors, the state sold assets such as land to finance administration cost and so on. 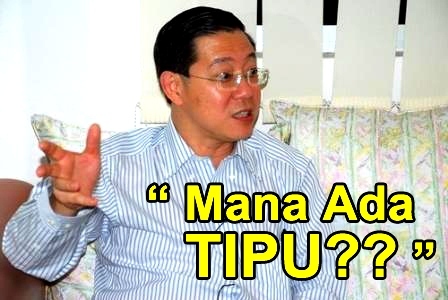 And PKR, as every Malaysian knows in Selangor, the state government is being slammed with so many suits for not fulfilling its promises and pledges made in 2008 general election. In short, none of the parties in the opposition pact has brought about any good for the people except to ‘tie voters’ through trust and religious belief which currently are eroding as voters began to see ‘’the light’. Voters getting matured through exposes to internet and other media see they have been cheated and the anger towards the government in 2008 has now change direction. Their anger is now focus on unfulfilled promises and the unrelevant issues leaders of the parties in the pact raised without even touching on the voters daily needs – bread and butter issues. Leaders of the opposition pact seem to be more interested in trying to convince more Malaysians to vote for them than implementing projects that benefit those who have voted for them. In short, they are greedy and the greed have now taken their minds to take over Putrajaya without even having the professionalism and agenda on how to make Malaysians live a better life.